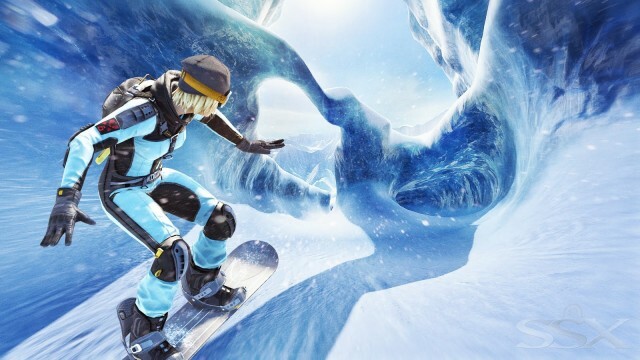 An early E3 trailer for EA Sports’ much talked about SSX reboot has been revealed by Game Trailers TV. It’s the first in-game footage we’ve seen from the latest iteration of the popular arcade snowboarding series, and it looks to pack a nice next-gen visual punch to go along with its arcade boarding. Shown in the trailer is series veteran, Mac, whose presence in the video confirms his existence in the full game. Watch as he goes off huge jumps, grinds through the cold white powder and soars through the mountain air. One of the other very popular series vets, Canadian boarder Elise, was previously confirmed for the title. Also make sure to look for the giant Chinese sculpture sticking out of the mountain. Could that be a hint at some creative location and course designs? The series is well-known for having insanely creative courses, so it wouldn’t be out of the ordinary in SSX land. Check out the trailer below and ready your snowboard for the slopes when the game releases in 2012.